State Legislators – Protect Water for Future Generations. South Dakota, Wyoming and Nebraska’s water and citizen’s health is at stake. The first applications for gold mining exploration and uranium mining permits have already been filed. Those in charge of the permitting process need to become aware of public disapproval NOW in order to act on your behalf and stop destructive mining. 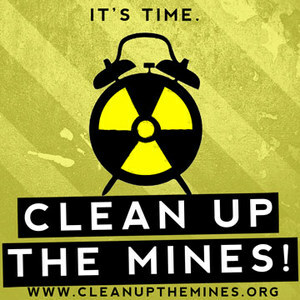 Radioactive and destructive mining has been stopped before in the Black Hills. We need to stop them again! Please contact your state’s elected officials via letter, email or telephone – let them know your concerns and that you feel this issue is important to you! South Dakota Elected Officials – Click on each name to send your e-mail. After you send your e-mail, you will get a message sent back to you via e-mail. Only after you respond is your e-mail is sent!